We are on the road to New Orleans for a wedding and the biannual 3M reunion (Mara, Marilyn and Mary Ann), but I wanted to write a quick post about the Parkinson’s Disease Southern Symposium to be held November 13th through the 16th in Spartanburg, South Carolina. To quote from their brochure, “From November 13 through November 16, researchers, physicians, those living with Parkinson’s disease and caregivers are joining together to advocate awareness about the disease, its affect on the whole person, and issues related to its diagnosis, improved treatment options and better care..” You can view the entire brochure here and even more information is available on their website. Mara and I will be attending and we urge those of you in the Southeast to attend all or some of this event which will include a talk by Dr Michael Okun, Director of the University of Florida Center for Movement Disorders and Neural Restoration on Friday and The Davis Phinney Foundation Victory Summit on Saturday in Greenville, SC. The events are free but some, like the Victory Summit, require registration which you can do on the website. Many of the events are at the Marriott hotel and they are offering a discount on rooms if booked by October 28th with no deposit required at this link. We hope to see you there! 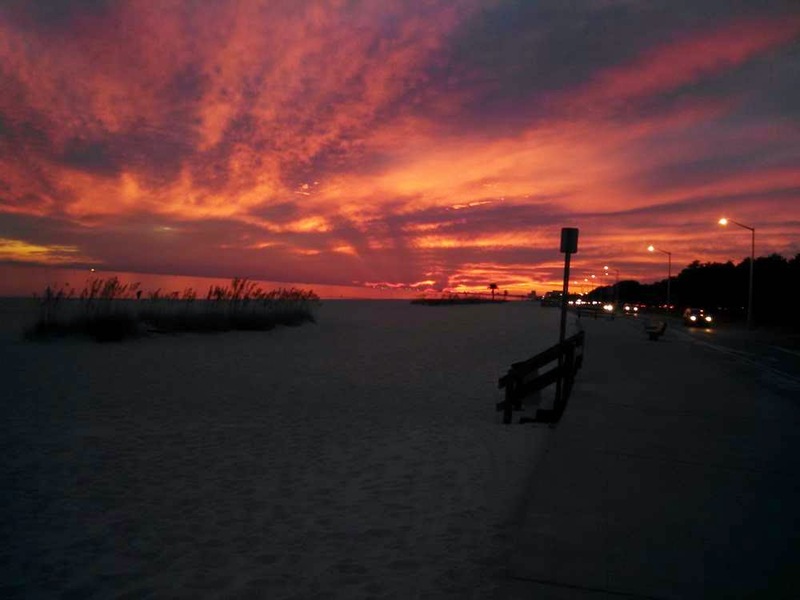 With a little creative travel planning for this trip, we are AT THE BEACH in Biloxi, MS where we had a nice picnic dinner with a glass of wine and a beautiful sunset. Life is good! Family, Friends, PD News, Travel.